ETP Ion Detect is a leading manufacturer of product solutions for mass spectrometry. A worldwide technical and distribution network supports the company's global presence throughout The Americas, Europe, Japan, Asia Pacific, India, China and The Middle East. ETP's primary R&D manufacturing divisions are located in Sydney, Australia. 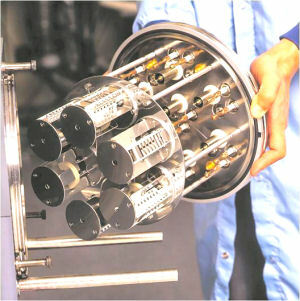 ETP Electron Multipliers Pty Ltd is a privately owned by Dawes Scientific Group. ETP Ion Detect work with mass spectrometry companies to discover, design, develop, test and manufacture the best ion detection systems available for a specific instrument. Advanced proprietary manufacturing systems for product production and testing. ETP Ion Detect has a staff of 90 people. The organisation comprises Scientists, Engineers, Business, Fabrication Specialists, Quality and Production Personnel. ETP is able to offer complete concept, design, development and testing service for electron multipliers and electron optic products. All manufacturing is performed ISO 9001 accreditation.